This book encompasses all the beauty there is in falling in love for the first time when you're a teenager. I felt myself falling in love all over again while reading Eleanor and Park's story. Rowell has produced the best of the best when it comes to young adult contemporary. The writing is clean and flawless, but every once in awhile a hiccup will come along that leaves you breathless, or laughing out loud (literally). I felt so many emotions while reading this story; and for me, that means this book went above and beyond in its story-telling. Eleanor comes from a very broken home. Her clothes are bought at goodwill, and she's lucky if she gets fed a proper meal at home. She's lived a very hard life for someone who is only sixteen. Now that she's the new girl in school, the torture of being a teenager doesn't let up. She's constantly picked on for her vibrant red hair, or how different she dresses. Eleanor puts on a brave face and chooses to ignore the ridicule, but as the reader you start to see how each slam is slowly breaking her a part. Then there is Park. He's by far one of my favorite male characters in a young adult novel. I adored his innocent, yet eager personality. Before he even realizes it, he's drawn to Eleanor, and what begins as one nice gesture opens up to be a beautiful friendship. The story is told in alternating view points, so as the reader you get a better look inside the lives of both Eleanor and Park. We see the struggles they both encounter in their daily life, but then we also get to see the emotions that begin to evolve from their new-found relationship. I loved the attention to detail when it came to Eleanor and Park's relationship. It starts out incredibly slow, but I never once felt like it was dragging. The slow build just added to the cherry on top. My favorite moment in the story involved their first hand holding experience. I've never read a scene that made me swoon so incredibly much just over the simple act of holding hands. Rowell's ability to capture everything and then some really caught my eye as a reader. As someone who grew up in the 80s, I couldn't get enough of the pop culture references. From the music, to the fashion, and all the popular TV shows; Rowell did an excellent job of keeping the story true to the decade. As the story progresses, so does Eleanor and Park's journey of falling in love for the first time. Their lives, especially Eleanor's, is not easy, and we surrender ourselves to be taken along for a ride that we never want to end. With just this one novel, Rainbow Rowell has been added to my instant read list. Sometimes it just takes one particular story, written with all the elements you adore so much, to completely win you over. Eleanor & Park has done just that. Oh! 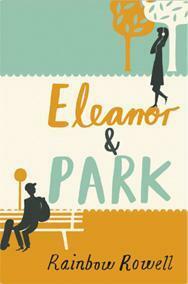 Eleanor and Park sounds delightful, the whole retro theme reminds me a bit of The Disenchantments. And the fact that its from the 80's makes me swoon. I cannot wait to read this. Great review. I hadn't heard of this book until now! I just read Eleanor & Park last week and absolutely LOVED it. It was one of the ones I was dying to read most from 2013, and it far surpassed everything I thought it would be. That first hand holding scene? The word swoon barely even scratches the surface! All their small physical moments were just...brilliant and breathtaking. The "every-us" line was also...oh man. Love it, and I love your review. Co-sign on everything! I was born in the late 80s and really grew up more in the early 90s, so I'll admit that the pop culture references didn't do quite as much for me. Thankfully, none of them really baffled me. Great review! I just smile so hard when I think about this book. So so glad you loved it! From the moment that Park & Eleanor meet on the bus (HA!) to the last few words, I was so completely enamored in every moment of their story. I think after having read both of her novels, my trio of Authors I Want to Meet has now transformed into a quartet, and she's now on that list! 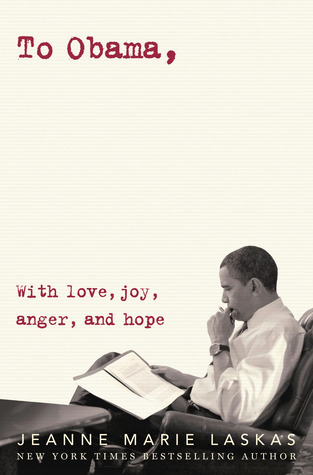 I just love your review for this one, and brought this book to my attention, that otherwise would have gone unnoticed! Thank you for featuring this novel, and I am definitely going to add this one to my to-read list!! This story sounds like the ultimate heart-warmer! I can't wait to read about falling in love, especially with Eleanor's back story and Park's innocence! Wow, if Rowell is able to make you swoon over a scene of holding hands, she must be quite the master! Beautiful, beautiful review, Ginger! Thanks for your opinions, I can't wait to read from the talented contemp author! This sounds really good to me! That holding hands scene was PERFECTION. This book was so wonderful; I loved their relationship, and I just ADORE the way it was built up. Georgeous review, Ginger. I finally have a copy of this waiting for me and I'm so freakin' excited. Everything about it just wants me to love it, and I have a feeling I will. EVERY REVIEW YOU RIGHT I WANT TO KICK OVER MY TBR AND GO GRAB WHATEVER YOU HAVE REVIEWED. You seriously have magical reviewer powers and I love it and this review makes me so excited over Eleanor and Park and the fact that I have it on my kindle and just I ended the review and was like okay, I should look into Attachments too! SO JOB WELL DONE. So I came back to this review hahaha and realized I spelled 'write' as 'right' FAIL.